Vanier PhD student at UBC that one day emerged from the forest. Previously, spotted high in the mountains. If your curious, read on about his adventures, research, outreach, and professional activities. He probably won't mind. For nearly 15 years I've been documenting my adventures through blogging, film-making, and photography. This page provides an overview of the 'web-ecosystem' of stories I've created. 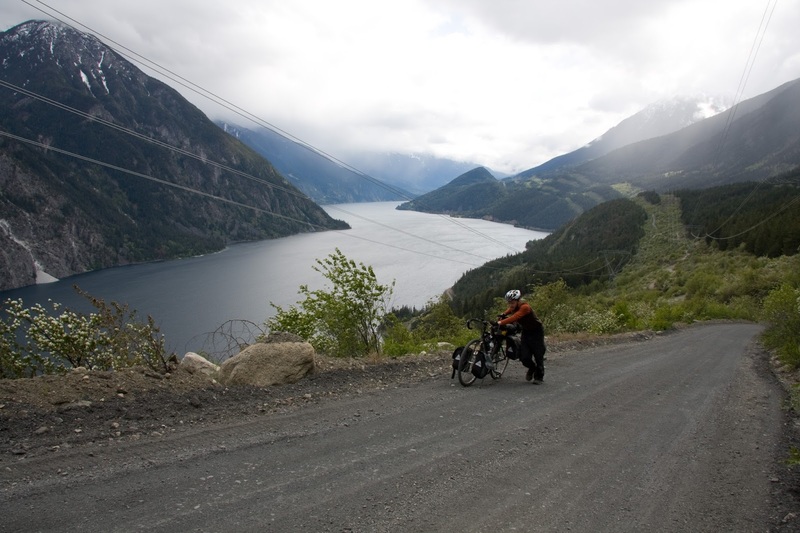 It starts in the snowy BC mountains, then goes overland by bike, and eventually leading you into the fores! Where the real exploration begins. This is an overview of my changing interests, motivation, and perspectives that have shaped my philosophy in life and research. Explore the links and I hope you find inspiration for your own adventures! At around 16 years, the mountains that stack a kilometer and half above North Vancouver lured us in. Our first scrambles and wilderness traverses in these mountains felt daring and bold. It awakened us to the elegant simplicity of nature - a stark contrast from the weird material world familiar to us as high school students - embedding within us a sense of independence and curiosity to experience more of that the unknown had to offer. After high school I saved money working carpentry and then embarked on a four month journey through Europe, encountering beautiful landscapes, diverse cultures, and ever-widening horizons. 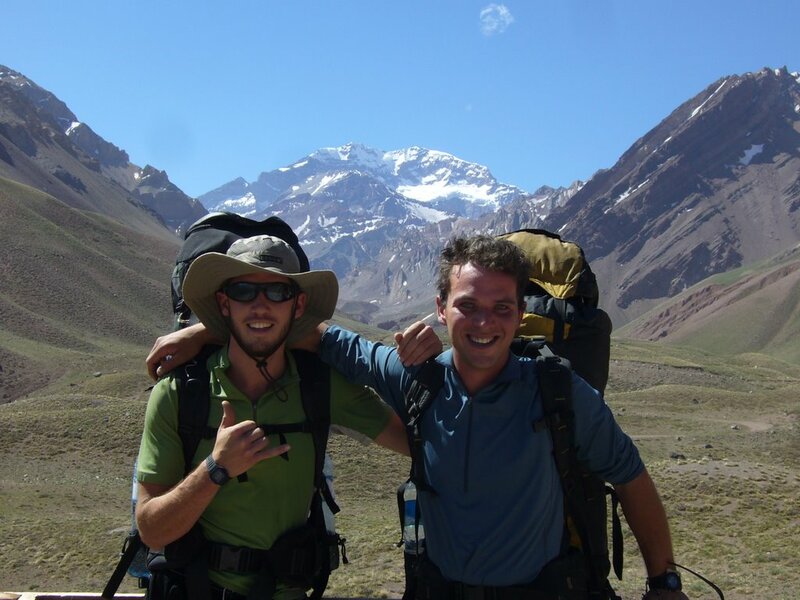 I was especially intrigued to hear reports from other world travelers: enthusiastically account their experiences in places like Bolivia, Pakistan, and Tanzania - places I would have never thought to go! Excitement flowed like cheap spanish wine as I listened to stories of hitchhiking the deserts of Africa, crossing Siberia by train, and traversing South America by bicycle. At 18 years old, the Earth suddenly filled me with wonder. Back in BC, like never before my stunning homeland was brimming with adventure opportunities. There was no time for school so I continued working in construction, got into trail running, and quickly tackled my first real alpine ascents. Mountaineering became my main purpose. Nearly every weekend I maneuvered up into the craggy aretes, horns and hanging valleys often in awe and humbled by the grandeur of limitless freedom found in this new world I had discovered. I gained introspection from passing days, and sometimes weeks, alone in wilderness settings. Solo Ascent of Cathedral Mountain in Vancouver's North Shore 1737m. This was my first attempt to make a film. I climbed a few dozen mountains in BC then made repeated trips to Latin America, where I climbed a few dozen more. Most of these mountains were technically simple, ranging from giant piles of sand 6km above sea level, to some more strenuous trips up into the highest mountains of the Americas. Through my wilderness and global travel I learned things not taught in school, such as my own physical and mental limits. I also had some spectacular failures: I nearly disappeared into a crevasse near Pemberton BC, suffered high altitude sickness in Bolivia, and was blinded by a sand storm alone in a remote desert in Argentina... to name a few. Through my success and failures I got to know myself - physical, mental, emotional, and spiritual dimensions - and I formed strong connections to diverse landscapes around the world. During my travels I also saw concerning environmental degradation. Shaping my perspective, bike touring together and mountaineering have synergistically expanded my sense of place as a resident of planet Earth. They have yielded my most valued lessons, an intuitive awareness of immense geographic areas gained from continuously observing transects across space. I also experienced rhythm cycle touring, melding space into measurable time spent cycling purposelly across map distance toward an ever unfolding adventure. Harmony found me. Living on a bike, one leaves behind no noise, fumes, or even footprints, and local people welcomed us with open arms. During one bicycle trip in 2008, I met a group of environmental protestors protecting old-growth forests that were home to a critically endangered owl. I was welcomed by the group who set me to work building trails and community gardens at a remote First Nations community. That summer enlightened my involvement as an engaged citizen, which arguably, has become the most meaningful and rewarding aspect of my life to date. My purpose in life was adventure, but I began to question the this internal ego-centric focus. Considering the effort I was investing, could I apply it to help others, and maybe the environment? I began to accept that university would be a good next step for me. So I enrolled at Langara College and in great contrast to my previous experiences, I was thrilled by school. I was fed information on fascinating subjects (eg,Latin America, climatology, mountain formation, biology) like oats to a pig. I gobbled it up and then my perspective of humans and nature began to evolve. Rapidly. I finished a two year degree at Langara College then my BSc at the UBC Faculty of Forestry. The generalist, applied, and often field-based approach of forestry suited my liking. 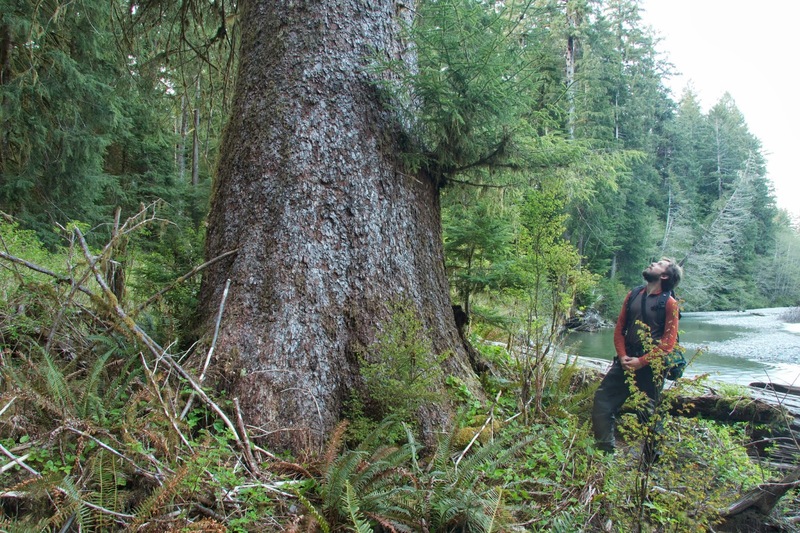 My interests focused poignantly towards forests, and I started a campaign to engage people to protect BC's coastal old-growth forests. So after cycling to Panama on a mission to explore forests, I started my MSc studying at McGill University under Dr. Elena Bennett and Dr. Sarah Gergel (UBC) studying the recovery of ecosystem services impacted by old-growth logging. Reexamining the Forest from Wyatt Visuals on Vimeo. In university, you get out what you put in, which actually applies to life, in general. A fact I've embraced since first toiling up to my sweet first mountain views. To squeeze everything I could from my time in school - a huge opportunity cost away from my travels - I worked on different issues. I built community gardens, fixed bikes, lobbied administrators, fought climate change, took people out into the forest. Being a mature student, I was able to associate my lessons with tangible experiences and personal observations. Those are some reasons that have contributed to my succeess. However, I also worked very hard through significant emotional, mental, and spiritual challenges. I certainly questioned it... a lot. Well, university is like the toil of climbing a mountain except as far as I can tell, there is not really a summit top... only some mighty fine views along the way! Views I can share to hopefully influence broader society and the environment onto a more sustainable pathway. Between each of my degrees, I've also taken long breaks to work and travel, and I steadfastly believe that you can't learn everything in school. I've worked in forestry and conservation in BC, Panama, and Indonesia and you'll have to look here to learn more about those experiences. What I will say is first, that some of these experiences have been the greatest experiences in my life - even better then my adventures. Second, these work experiences offer unique life experiences from that which you can obtain from school. So meddling school, travel, and work, builds synergies and perspective that I think have mutual benefits across each. After three years working since my MSc, in Sept 2018 I returned to the UBC Faculty of Forestry to undertake my PhD with Dr. Jeanine Rhemtulla. I''m fortunate to hold a Vanier Canada Scholarship and am flourishing back in , engaging in diverse discussions, presenting my work, and, of course, publishing it. The aim of my thesis is to quantify the historical dynamics in the structure and function of forests across BC, a challenge which is taking me physically around the province, into rarely explored archival datasets, and into contact with an incredible array of resource experts, academics, and practitioners. It's looking to be a particularly interesting chapter of my life. Above, I have recounted some aspects of my evolving motivations, passions, and perspectives. It only makes sense to conclude such an autobiography with a few more thoughts on the strategies that have worked well for me. Find and cultivate your passions. Sometimes this requires digging deep and maybe finding the right people to help you. In fact, the right people may be the key. Although, the story above is about me, I would have never developed my passions without inspiring people I met along the way. I hope this inspires you. Pursue your passion, and you will be sure to inspire others. Let variety be your teacher. One of my core philosophies is that by doing different things we layer time - we embed diverse experience into our memory rather than drown them amidst a sea of repetition. Sometimes repetition is good, but if your up for it, try something different. You'll learn a lot and you may perceive that you live longer. And I just had one more thought: Don't dwell too much on lessons learned from the past! It may seem silly for me to say this after writing this, but I think its true. The journey of life is ongoing and every day unfolds new lessons. Be aware like an eagle. Listen to your breath and to your heart right now. Take comfort in knowing that no matter what has happened to date, their is opportunity to learn, grow, and push yourself toward ever more meaningful adventures in the future.